Do you think Guangzhou is all about the bustling city life and high rises in Tianhe and Zhujiang New Town? Well, guess again! You can find many relaxed countryside destinations inside Guangzhou too! Following photos are from the Changzhou Island (长洲岛), right next to the University Island （大学城）. To get to Changzhou first take the metro to the Higher Educational Mega Center North on line 4. Then get exit D and a bus 332 to Changzhou. You can get off at the last stop for example. looks interesting… how about some info such as… are there restaurants there or is it all rural? how long does it take on the bus? Thank you for your comment Robert! It takes about 10 minutes bus drive from the metro station. There are restaurants on the island so you won’t stay hungry, it’s a smalla village, not all fields. The island is quite small so you can walk or bike around easily. I’m a high school exchange student from America, living in Fuzhou. I found your blog on one of my bad China days (I had gotten a fish bone stuck in my throat and had to go to the hospital to have it removed), and have really enjoyed reading about your life in Guangzhou. I have a Belgian friend living there and she tells me it is a very beautiful city. The seclusion of this island must have been very nice – Fuzhou has just 4 million people but I can never find a place with just myself! Even in the gardens my school has security cameras. 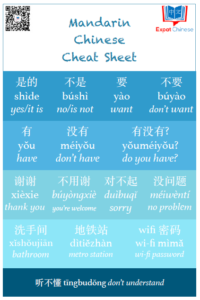 I’m wondering though, how long did it take for your Chinese get to the point where you would be able to speak with a stranger? I have been studying for five months in China, but it seems that I can never learn enough to keep up with conversations. Hi Sam! When I came to China I had studied Chinese in Finland for 1,5 years. At the time I could have super simple conversations about super simple topics. It was really hard. Then later after months in China it slowly came easier, but that is pretty much because I had to speak Chinese everyday with my previous boyfriend. Now after three years in China I can have conversations with natives pretty easily and without that much effort. Good luck with your studies Sam! It might sometimes feel like the progress is slow, but you just don’t see how far you have come.